Canongate Books, together with thirty great international publishing houses, is proud to announce a new series – “The Myths”. and the heavens for eternity. When the hero Heracles, as one of his famous twelve labours, is tasked with stealing these apples, he seeks out Atlas, offering to shoulder the world temporarily if the Titan will bring him the fruit. Knowing that Heracles is the only person with the strength to take this burden, and enticed by the prospect of even a short-lived freedom, Atlas agrees and an uneasy partnership is born. 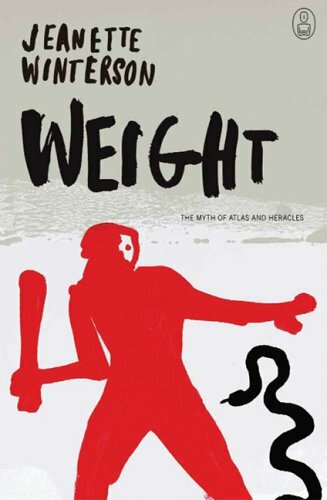 With her typical wit and verve, Jeanette Winterson brings Atlas into the twenty-first century. Simultaneously, she asks her own difficult questions about the nature of choice and coercion, and how we forge our own destiny, Visionary and inventive, yet completely believable and relevant to our lives today, Winterson’s skill in turning the familiar on its head and showing us a different truth is once more put to dazzling effect. JEANETTE WINTERSON’S first novel, Oranges Are Not The Only Fruit won the Whitbread prize for Best First Novel. Since then she has published seven other novels, including The Passion, Written on the Body and The Powerbook, a collection of short stories, The World and Other Place: A Book of Essays, Art Objects and most recently a children’s picture book, The King of Capri. She has adapted her work for TV, film and stage. Her books are published in 32 countries. She lives in Oxfordshire and London. This month’s write up has been (ever-so-speedily) provided by +Helen Carr @isfromupnorth – one of the spectacularly awesome Leeds Book Club Guest Star Super Stars. This is also one of the Canongate Challenge books, so is structured more like one of those write ups. Jeanette Winterson is one of those writers you either love or hate. Best known for her novel Oranges are not the only fruit, she takes a well known myth and creates a story about life’s journey, betrayal, greed, freedom, responsibilities, rejection and our search for our own identities. We started this discussion while munching on some fabulous homemade mint brownies made by regular bookclubber Kirsty aka @kayelle5, (recipe should be on LBC website shortly) and one of the first things to be brought up was the fact this book, although beautifully written, is split in to thirds which didn’t sit well with the story although almost everyone agreed the favourite part of the story was the introduction of the space dog, Laika. forced to carry the weight of the world on his back. As stated in the book the two characters are very different we have Atlas who is a powerful man who doesn’t notice much. He doesn’t need to. Other people notice things for him’ and then there’s Heracles ‘His strength covers up his weaknesses, as he was born with rocks for muscles and rocks between his ears’. Two totally different characters yet in a way the same. As humans we all want to be the best, to be important, to strive for power, and sometimes will do anything to get it. In this story Heracles is on a task and requires the Golden Apples of Hesperides which only Atlas can collect with no harm coming to him. In the end Heracles destroyed himself due to greed, Atlas came close but realised that he didn’t need to carry his burden anymore because the people who expected him to carry it were not there anymore and it is only when we realise what is expected from others and ourselves can we then let go of our worries and we can free ourselves. One thing from this book was to understand the stories created from these myths and try to get an idea about it’s characters, (perhaps we should have read up on them first) to know our heroes, that superheroes and Gods are only powerful because of the belief/ideas we put into and to know that actually Thor ‘god of war’ is ‘Kim’ from Home and Away who used to date a teacher. Oh and his friend Vinnie became a vampire in True Blood – obviously needed to change the day job. Obviously in any book all the characters have different personalities, but all are alike in a way because they want the same thing. We didn’t like Hera we thought she came across as a bad character, but is perhaps hard done by. Then there’s Atlas who went against his father and then coming to realise after being punished and shouldering the world, listening to all what was going on with the world that he didn’t want to be a part of that was able to release his ‘burden’. And then there’s Heracles who through pure greed and desire for being a typical bloke gets himself killed. Silly begger. To sum up this book is about life, lesson and the burdens we carry, and how we are a ‘self pollutant’ and it is only ourselves that can realise that we have the power to know when to let go of these things we carry around us. We are always searching for more, for better, we take ourselves too seriously and we don’t realise what we have is actually good enough and can make us happy until it’s too late. 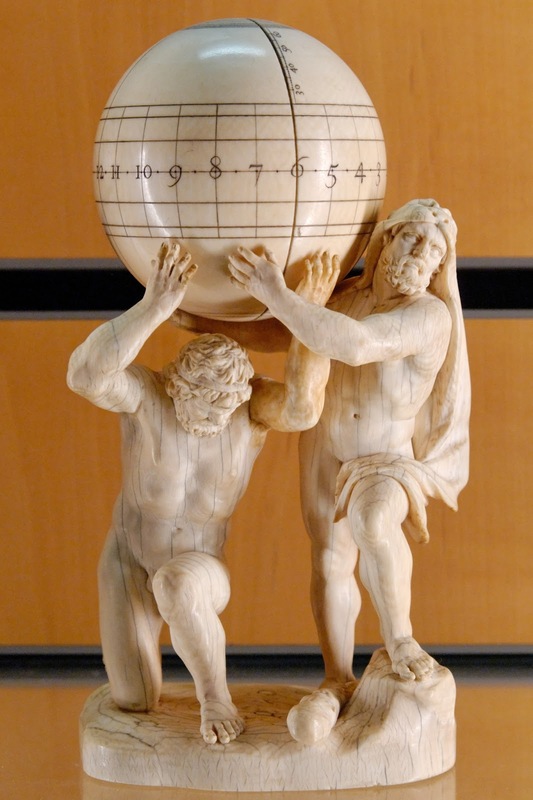 In Greek mythology, Atlas was usually responsible for holding up the heavens. This marble relief from a Greek temple shows Hercules holding up the world for Atlas so that Atlas can bring him the golden apples of the Hesperides. Another story concerns Hercules (Heracles)!, the grandson of Perseus. One of the labors of Hercules was to obtain some of the golden apples that were guarded by the Hesperides. Hercules asked Atlas to help him get the apples. Seeing an opportunity to escape from the burden of holding up the heavens, Atlas asked Hercules to take over the task while he obtained the apples. Hercules agreed. When Atlas returned with the apples, he told Hercules that he would deliver them for him. His intention was to leave Hercules to support the heavens. However, Hercules asked Atlas to take back the heavens for just a moment so that he could adjust his burden. When Atlas did this, Hercules walked away with the apples. Bagenders – legend becomes myth. We also mentioned Tom Holt and Jasper Fforde. We didn’t get round to discussing this really. We were too busy munching on the mint-cookies!